You may wonder where Kubota tractors are made. It turns out that Kubota has multiple manufacturing and assembly facilities located right here in the United States. These facilities span multiple states, and house the production and assembly of a variety of Kubota machines, engines and accessories. Today, more than half of all Kubota equipment sold in the United States is assembled or manufactured in Georgia. Two Georgia-based plants cover more than 600,000 square feet and employ approximately 1,200 U.S. workers. Kubota Manufacturing of America (KMA) is headquartered in Gainesville, Georgia, just northeast of Atlanta. KMA has served as Kubota’s North American manufacturing base for three decades now. Kubota Industrial Equipment (KIE) is also headquartered in Georgia, with its Jefferson facility located about 20 miles southeast of the Gainesville plant. KIE specializes in the production of tractors, tractor implements and accessories. Its original 88-acre site saw a significant expansion in 2013, when compact tractor production began at a new environmentally friendly facility encompassing 460,000 square feet. Kubota Engine of America (KEA) is headquartered in Lincolnshire, Illinois, just north of Chicago. In just two decades, KEA has emerged as a leading manufacturer of the 6-horsepower to 99-horsepower gasoline and diesel engines used in many agricultural, industrial, generator and construction applications. Customers are attracted to the innovative low-vibration and low-noise engines that provide necessary power in compact, lightweight configurations. Kubota began with a single foundry in the 19th century, and today, the global enterprise employs approximately 40,000 people. For more than a century, Kubota has been an innovator in tractor and tractor engine design. Kubota is credited with coming up with Japan’s first farm tractor. In the 1920s, it used its casting technology in the development of a 3-horsepower kerosene engine for agricultural use. The design and production of Kubota diesel engines followed in the 1930s. The first Kubota tractors arrived in the United States in the late 1960s. Today, Kubota Tractor Corporation (KTC) headquarters are in Grapevine, Texas, just outside of Dallas. Is Kubota a Good Tractor? 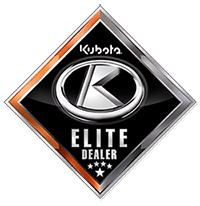 Kubota tractors are known for providing years of reliable service at prices that frequently beat those of its competitors. Kubota diesel engines are known for their rugged design and consistent performance, and they are now No. 1 in their class. Kubota’s wide selection of tractors helps you select the right mix of horsepower, lifting capacity and price to complete your tasks with the utmost efficiency. Four-wheel-drive tractors, and those with more advanced hydrostatic transmissions add further to the product line. Now that you know who makes Kubota tractors and where Kubota engines are made, you should have increased confidence in using them on your farm or ranch, at your landscaping company or at the next construction site. Bobby Ford Tractor and Equipment is a leading Texas Kubota dealer, and we are proud to be one of 1,100 authorized Kubota dealers in the United States. If you’re in the market for high-quality performance at a great price, look to Bobby Ford Tractor and Equipment for your new Kubota machine, parts and service. We’re conveniently located due south of Houston in Angleton – just off Hwy 288 and south of the Hwy 35 bypass. We’d welcome the opportunity to match new or pre-owned Kubota equipment to your exacting requirements. For expert and friendly help, please contact Bobby Ford Kubota today!